I love this beautiful watermelon fruit basket from Finding Joy in My Kitchen! 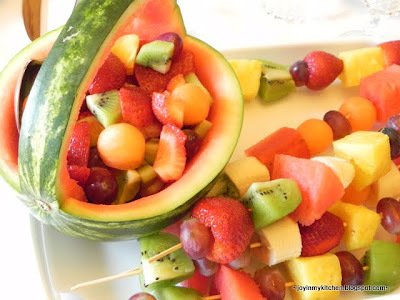 She set her basket out with some skewers and let guests make their own fruit kabobs. I’m thinking serving the fruit straight from the basket would be just fine.